This example is a POCSAG receiver. It can be used to receive pager messages dispatched by hospital, fire, emergency, and police services, as well as some businesses. 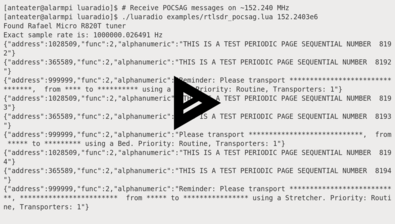 POCSAG messages are transmitted in plaintext. 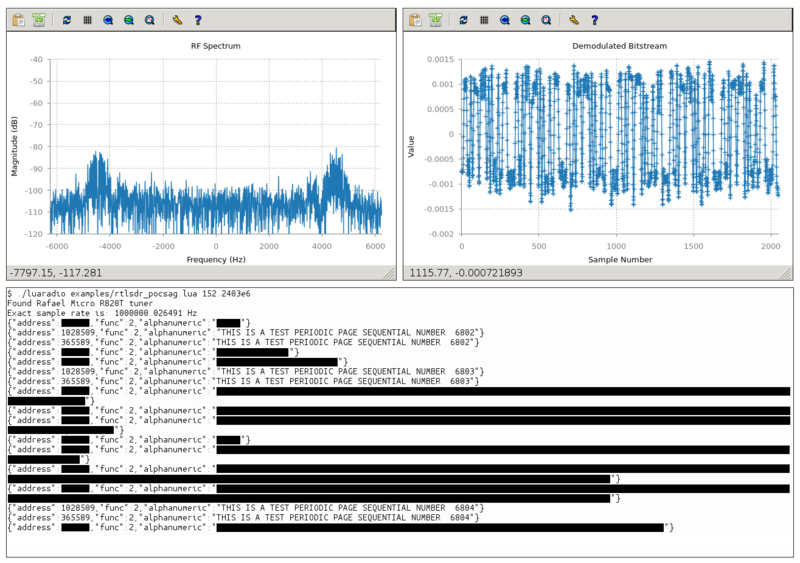 It uses the RTL-SDR as an SDR source, writes decoded POCSAG messages in JSON to standard out, and shows two real-time plots: the RF spectrum and the demodulated bitstream. 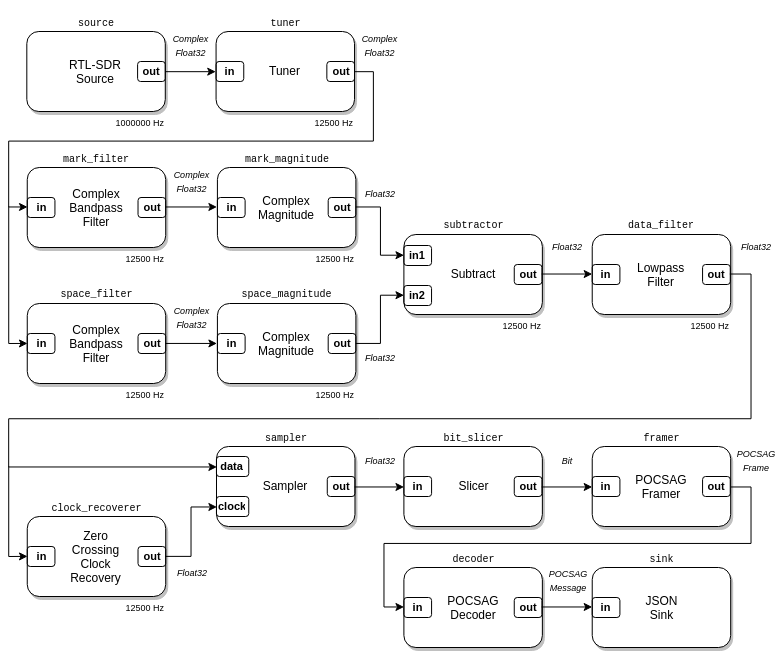 This POCSAG receiver composition is available in LuaRadio as the POCSAGReceiver block. 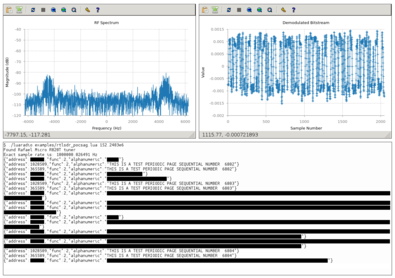 You may need to explore your local spectrum with a waterfall receiver to find a POCSAG transmitter.